For many people, the June Fourth Incident is an historical event that has changed many people’s life. Mitch Berman and Susanne Lee were at the scene during the outbreak. They captured the historical moment in text, a moment that recurrent in many people’s life, and theirs. “One must arrive with a story to tell” a welcoming quote in Pow Wow. They are revisiting Hong Kong with more stories to tell, aren’t they? Susanne's nonfiction on such diverse subjects as surrealism and blood sausage in Spain, mixed race children, human rights in China, and mehndi in Delhi has appeared in The Village Voice, The Nation, Konch, SLAM and Giant Robot, and on WNYE-FM. Her fiction appears in the collection Pow Wow: American Short Fiction from Then to Now, edited by Ishmael Reed (Da Capo Press) and was a runner-up in the Guardian UK's Orange Openings Contest. Mitch Berman is the author of the novel Time Capsule, hailed by writers such as Kurt Vonnegut and nominated by Putnam for the Pulitzer Prize. His short stories, appearing in literary magazines such as TriQuarterly and Antioch Review and many anthologies, have been nominated for seven Pushcart Prizes, receiving special mentions in Best American Short Stories. He has taught creative writing at the University of Texas. The link will be closed on 22nd March. 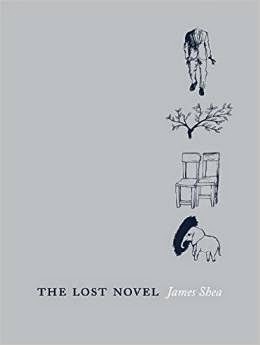 James Shea's first book Star in the Eye won the Fence Modern Poets Series prize and garnered widespread acclaim with rave reviews in the Times Literary Supplement, Boston Review, Colorado Review, and the Chicago Sun-Times, which named it a "Favorite Book of the Year" (2008). His follow-up, The Lost Novel (Fence Books, NY), comes on the heels of that praise and the anticipation that's been building since his stunning debut. Shea, a former Fulbright Scholar in Hong Kong and recipient of The Poetry Center of Chicago’s Gwendolyn Brooks Award for Excellence in Teaching, is currently teaching poetry writing at Hong Kong Baptist University. He has lived in Japan and was inspired by the masters of Japanese haikai poetry—Bashō, Issa, and Buson—as well as by more experimental haiku poets like Ozaki Hōsai and Sayumi Kamakura, both of whom he has translated. “I discovered how deeply Japanese poetry was inspired by classical Chinese poetry,” says Shea.